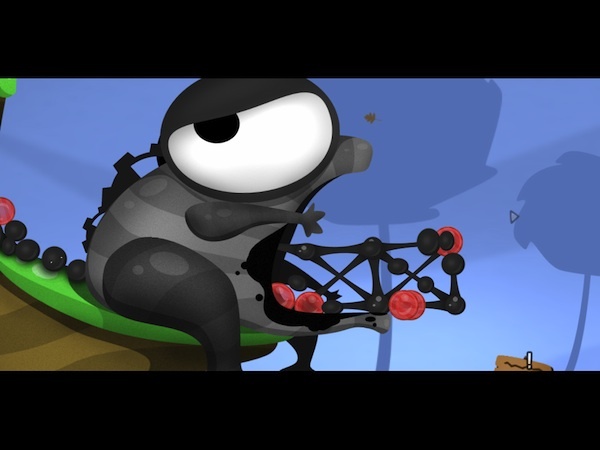 In a world collapsing in on itself under the weight of its machine-churned puzzle games, World of Goo was a breath of fresh air when it was released in 2008. It was smart, varied, deep, gorgeous, and, above all, entertaining. The iOS version of the game will be hitting the US App Store tonight, and to no-one’s surprise, it’s still just as good. The truly surprising thing is that this iPad version is easily the definitive version of the game oft-praised puzzler. You get a real sense of connection with the game’s world as you dip your finger or fingers into it, and the technical mastery displayed in this port is near unparalleled. Everything just feels perfect. It’s as if this was the version of the game we all should have played first. 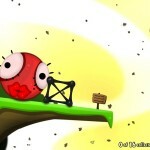 At first, World of Goo is about manufacturing bridges and towers with the stretched tissue of little balls of goo. The point is to provide a path that other goo balls can follow into a metal pipe, the end point. Physics play a key role in this process: you’ll need to build sound structures, which sounds easier than it is. Goo isn’t concrete. 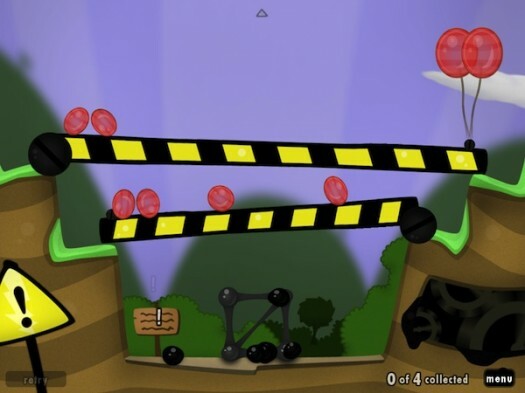 Each level requires a set number of goo balls to reach the pipe, and each goo ball you use for a structure counts against the total provided. This constant negotiation of goo resources is pleasing because it forces you to think around the obvious solution, which is often one of brute building. The game doesn’t rest on this basic formula. It has a bevy of twists and spins on this concept and mechanic in each level, providing a stream of different looks at what is possible to do in the game. A lot of levels even introduce new goo balls with very different, game-altering properties. There’s a change of pace opportunity around every corner, be it from the introduction of helium-filled goo balls, vicious gusts of wind, and so on. Diversity can become a bugbear in because explanation and experimentation are often required in large amounts. Developer 2D Boy mitigates this by walking the fine line between handholding and intuitive design. Levels are presented in such a way that it’s clear what needs to be done, while signpost text written by the game’s clever Sign Painter provides subtle hints and teases if a structure is too strange. The Sign Painter is a perfect example of the game’s character and tone. This writer of signs is bizarre and cheery, much like the game’s unusual art. And if you doubted the power of a hand-drawn approach in this day and age, just take a look at this game. The art is detailed and beautiful and full of character-defining quirk. On a related note, the sound design is stupendous in that it helps to add even another layer of character to the goo balls by allowing you to identify them simply by ear. Very cool stuff. 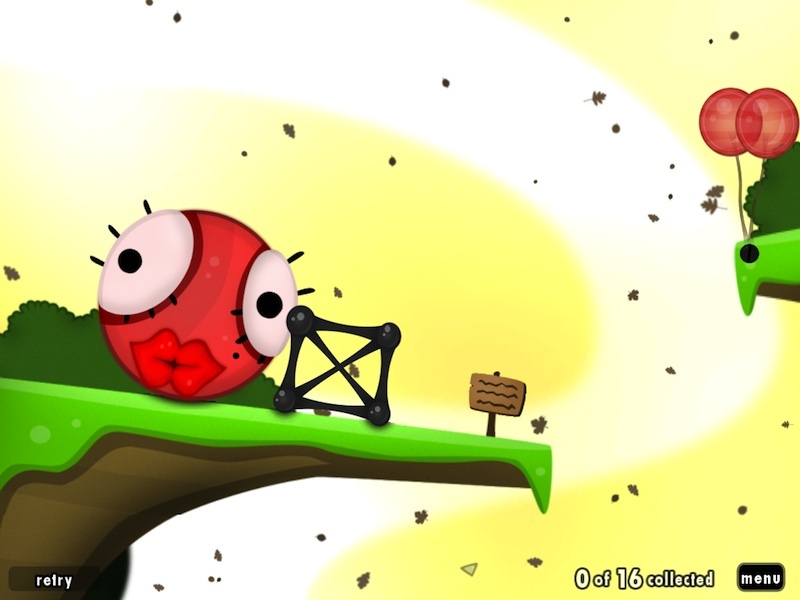 There’s little wrong with World of Goo. I tend to think the physics on the larger balls introduced later in the gamer are a bit too wonky; there’s a degree of luck almost in dealing with them as they tend to bounce wherever they like. I’m also not a fan of the fact that you can’t pinch and zoom to get an overview of a level. 2D Boy keeps the camera tight and forces you to scroll sideways to see other parts of a map. To be clear, this is a port. I’ve yet to see a level or a mechanic that wasn’t present in other builds of the game. But it’s a fantastic recreation, so much so that I’ve become convinced that this is the best version available. The touch controls are responsive, simple, and precise. Your finger, it turns out, is just as good as a mouse or a Wii Remote pointer. The intangible here is what it feels like to directly interact with the game’s world. It just feels right. Picking up and applying goo is natural, as if your finger was intended to be used with this game in the first place. It’s wild, man. 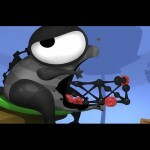 Puzzle games are a dime a dozen on the App Store, but World of Goo is easily one of the best ones available. It’s charm, level of polish, and stream of new mechanics and ideas will keep you invested, while its other qualities will probably make you wish that every game from this point forward could be as imaginative and intuitive. Check it out.